Show Me Yo M̶o̶v̶e̶s̶ Games! Filed to: Yeah! Pawch!Filed to: Yeah! Pawch! You heard me! Post your preferred method of game display! I just cleaned mine up on the weekend, so I figured this would be a good opportunity to share (and get new ideas for organization x3). 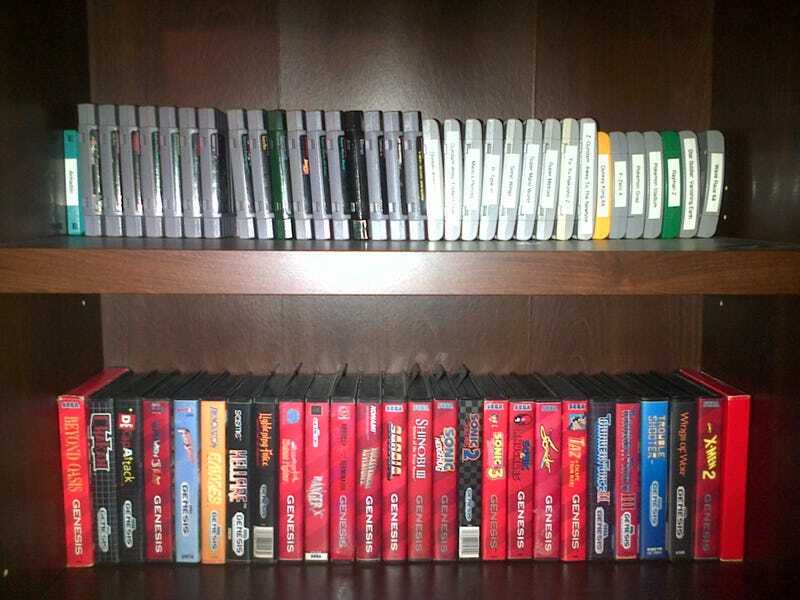 Above is my SNES/N64/Genesis, below is everything else. [Not pictured: Illusion of Gaia, R-Type DX, Pokemon Gold, bootleg Pokemon Green, Pokemon Sapphire, Pokemon LeafGreen, Thor (NDS)].